I cannot help but wonder– how the first homo sapien, the legendary Adam (or his Indian counterpart, Manu) had reacted to the first onset of rains. Did he enjoy it as much as I do? Did he dance with over-brimming joy? Cherishing the feeling of getting wet, the cold water relinquishing the thirst of his dry skin. Or did the rains make him anxious? The Petrichor acting as a beacon for some impending danger? I don’t know the answer, neither am I hopeful of ever finding it. [Unless I somehow stumble upon John Oldman from The Man from Earth]. We humans have long romantisized the rains. Perhaps since the age of Manu. And I blame the Petrichor for this allurement. Kissed by the rains, the magical aroma gently rises up from the earth and is imbibed by our nasal cavities. Once inside, it churns up its magic among our brain cells. Wizardry so powerful, it overwhelms our senses- though only for a brief moment. it was, indubitably, a little bit like being born again“. It may be interesting to note–and this might not be unique to India— how eagerly people anticipate the arrival of monsoon. They await the rains throughout the year and finally welcome them with open hands. Much like a child awaits his city uncle who brings a plethora of sweets on every visit. And their wait is justified too. For India, a predominantly agriculture based country, the onset of rains means a good harvest later in the year. Petrichor is, thus, more than just a happy smell. It is a promise of abundance, a welcome chance of survival, and a hope that the merry childhood days will be back again. I remember childhood smelling more like fresh dirt and people’s hands. But then again I’m a potato. And I’m a couch potato! It is one of the most beautiful countries in the world! Do visit, I ll show you around! http://www.indiasomeday.com …. the last time you’ll say “I’ll go to India someday” … Mumbai’s petrichor is truly special 🙂 come enjoy! Beautiful – your words and Petrichor! Thanks Kelsey. Such words of appreciation mean a lot ! Beautiful! I can’t wait to read more from you! Great post! Good luck with the harvest. Thanks for the trivia veronica. But latest studies reveal that petrichor is due to dust particles that accumulate on the surface of rocks. These dust particles burst out from the surface due to excessive moisture during the rains. I believe that different age groups see the rains differently. 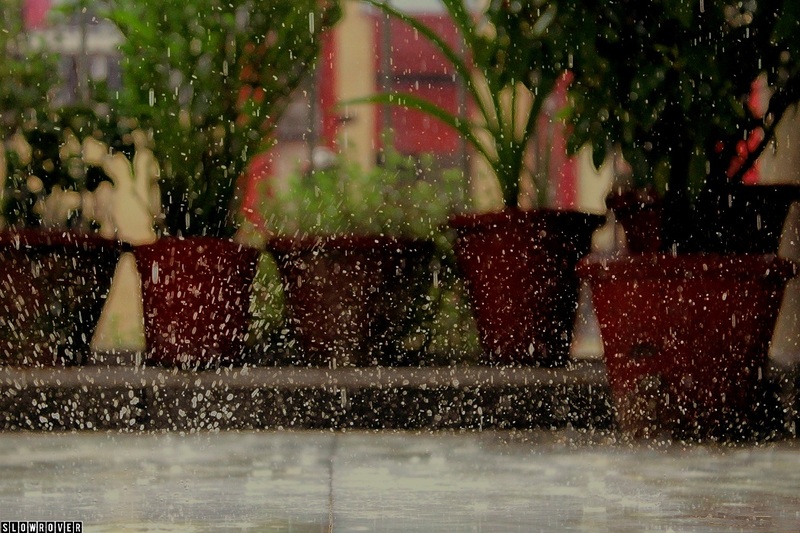 My childhood was spent dancing in the rains till my hearts content(and often catchinh cold due to this). Now I prefer to sip a coffee and watch the spectacle from my balcony. Living in grey and rainy Vancouver, I’ve started viewing rains with dreary resignation. What I miss the most about India, other than my family of course, is the smell of that first rain hitting the dry, cracked earth. The loud thunder, the sound of rain hitting the windows, the sense of rejuvenation of the soul when the same rain soaks the clothes on my body. This makes me fondly reminisce about all those rainy evenings when I’d sit by the window with a good book and coffee, looking out every now and then and dreaming about things too sweet and sacred to talk about. It certainly is the best time of the year, isn’t it? That beautifully describes the amazing monsoon in India and my favorite word.. petrichor. awesome. love reading your pieces! Such kind words mean a lot to me! Rain is not so fun in Asia, but I hear it is fun in Asia. Kids run outside to take advantage of of little pools that is created after heavy rainfall. The pool can be even bigger in cities with bad drainage. *I mean rain not so fun in the U.S., but fun in Asia. Thanks for the Reblog Anjali!! Your words hit very sentimental notes in my mind. It helps me recollect some memories of my childhood; of the dry and yet cold harmattan winds in Eastern Nigeria, of playing in the rain clad in very little or nothing at all; and my dear mama pulling us inside with a little swat to the backside for exposing ourselves to the cold 🙂 Those were lovely years. Quel nostalgie. Thanks for such a vivid comment jacqueline. I guess rains and maternal love are universal feelings that connect us all. Yes they do connect us 🙂 I enjoyed your article. Thanks Jacqueline. This means a lot to me! Thanks for the reblog jsbielicki. My theory is that this is related to our ancestry. For our ancestors, the cultivators, the smell was a sign of the approaching rains. The rains that will guarantee a good harvest. Thus, their felling of happiness attached with petrichor has been passed onto us as race memories. Thank you. This was one of the objectives of the post. I’d love to read it in case you write it. just came across my childhood again- Thanks. The aroma is just the best, isn’t it? Well described Vibhav. Its not even in childhood , I feel the same still. Haha. It’s good to preserve a little bit of childhood in us. Thanks a lot for this comment! It is wonderful to be appreciated for your work. it’s strange how most of our childhood memories are linked to such simple things. Hey, Thanks for the appreciation. Ah! One aroma that connects us all! You are very much welcome. it is an interesting story. Glad to know that you enjoyed it Arvind! Check out the other posts on our blog too! 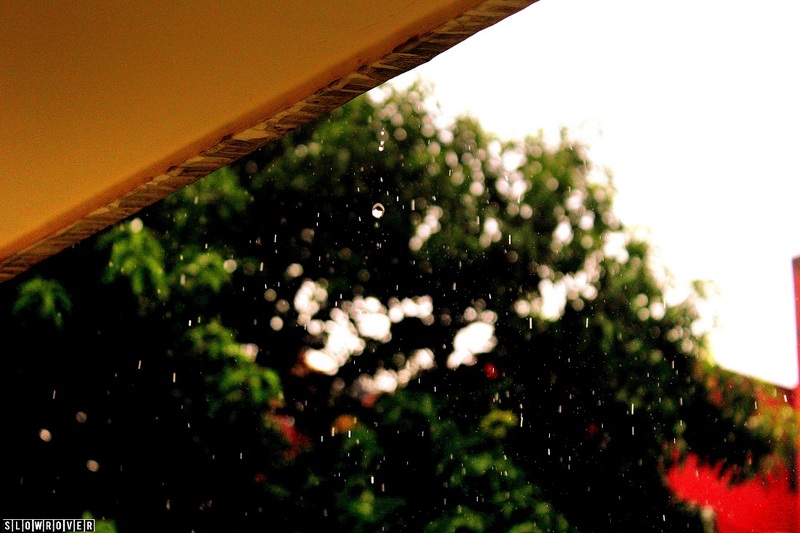 just now its raining outside my apartment…..nice timing. Also thanks for down pouring the memories back. Lucky to live in siliguri. Ah. I’ve heard it’s beautiful out there! Certainly on my bucket list! Petrichor occurs when chemicals produced by soil-dwelling bacteria known as actinomycetes are released. Wow, not sure if this is a genuine comment or a cryptic message containing the secret formula of the philosopher stone! Thank you random wordpress user! My apologies. …it was a pocket dial! What an amazing article.Creative and written perfectly. I’m honored to be appreciated by the thing all men are hoping to find! An amazing article, Made me reflect on my childhood memories, Memorable! Reblogged this on Life's A Wonderland. Haha. I remember those days. Talking about childhood and rains together is incomplete without paper boats!!! Haha. See the author bio at the ane of the article! Yeah. And I guess a lot of people share our affinity towards rain and paper boats! Rains also remind me of ‘Baba Farid’. Legend has it that he had captured the thunder lightning. So each time there was lightning during monsoons, we would hide in our rooms and start chanting ‘baba Farid baba farid’!! Ah. I like the way our indian parents love to make their children behave by using scary stories. I too have heard a bunch of them from my mother. But they were quite intriguing! And they were the best part of childhood! A fantasy land where weird creatures lived! And our gullibility made us believe them. Added to their magic! I love India…I I really can’t wait to visit it… :))) beautiful piece…and I don’t remember much of my childhood either! Yeah you should! Im sure you ll love it! This was a good read. I’ve reflected a lot lately myself. #goodday from #unitedindependence! Good day to you too chelita! I spent half of my childhood in the he Philippines and this brings me way back. I can still remember the smell, it was glorious. It’s not as cool as your name though! Thanks naasadat. I love how rain connects so many people across multiple nationalities. This is so beautiful! This piece of writing made me feel warm and happy. Even though it’s not raining now in Delhi, my nostrils are enjoying themselves all need to do is just close my eyes. I must say its a wonderful piece . Thanks a lot aryan! means a lot! This is a beautiful blog that reminds me of childhood . I love the sound of rain, it helps me sleep at night. The sound of thousands of water droplets coming into contact with the ground and anything that covers it composes a soothing and monotonous sound. It’s like nature singing a lullaby. After all, this article was written during a rainy day of Delhi. Thanks. Do check out our other articles too! There is something about the smells of childhood. In California, it rains a lot in the winter, and I still remember that smell. The ability to smell is one of the last senses to leave us, and most people remember smells very vividly. Petrichor is indeed a very powerful and memorable smell. You are certainly a gifted writer 🙂 glad to hav read this. Weather is always raining here in Scotland but it is nice when we all huddle outside together waiting for the bus or something. Great piece! I see ….love the post, nice one. Wow, great post. Loved the photos too! Check out our other posts too! Good job. Awesome childhood experiences are worth to share. Getting a comment from a fairy is always special! Thanks for the laconic comment! Thanks. Glad to know I was able to share my knowledge with you! This post was lovelyyyy. I’m so happy I came across it. I’m half indian, huhu. Though I live somewhere else, the few trips back home are packed with petrichor memories. I’d watch my little cousins run around and play in the rain with so much joy that I swore I’d slap myself if I didn’t join them. Those were the good ole happy carefree days. Those days were memorable indeed! Thanks for the appreciation my friend! I have received a lot of praiseworthy comments for this post, but your comment tops it all! Thanks for such profound appreciation gayatri! Reminiscing the magical, yet often forgotten, moments of life is something I aim at through my writings. Beautiful…beautiful…beautiful…superbly beautiful………….I was once explained the scientific base of petrichor but more than that its the effect on our whole being that is something indescribably unique and life giving…. True !! Thanks for sharing your thoughts! As a fellow pluviophile, this was spot-on and well written. Thank you for this. Beautifully crafted and simply worded…. A great piece of work! Great stuff! Twinkles the memories of our childhood 😊 Loved it! You have a wonderful childhood memory, thanks for sharing. My childhood memories is what encouraged me to open my owe in-home Daycare. Thank you. All the best for your venture! I only remember my childhood summers! And why is that photosinthisis? A wonderful read – I was hooked at teh mention of petrichor, quite possibly my favourite word! Tehn the first sentence gripped me tighter as I have no memory either. Off to investigate your blog further!! Excellent read, very interesting. Thanks for sharing!! Enjoyed the photo’s too. loved this. I don’t remember much of my childhood either but certain smells or sounds make me feel like it *just happened*. Also do check out my blog whenever you’re free. I’m a first time blogger here. I’d really appreciate it. I’ll certainly check out your blog! Make sure you follow our blog too! Left me with a wonderful feeling. Thank you! Your comment left me with a wonderful feeling too! Wow. Thanks for such such a beautiful comment! Ah! those days! Nostalgia!! When I enjoyed playing football in the mud blessed by the first rain..certainly reminds me of Petrichor..Thankyou..Keep writing!! 🙂 . You’re welcome rswain! I know a lot of people who get enchanted during the rains. And I don’t blame them. The feeling is irresistable. What a beautiful post. Thank you so much for it. Beautiful post.I will check out your other posts ! Thank you 🙂 I’m a fan of the monsoon aroma too! Thank you. The feeling is mutual my friend. Well written! Brings back memories of those non-synthetic days when rains were not an interruption but a manna from heaven to be relished! Ah. Thank you Mr. Bhatia! I am a bit late to the party but I must thank you for enriching my wellbeing with your post about the smell of the rain. Now I finally know that spellbinding smell of rain as it makes contact with the parched parched soiI has a name – petrichor. Well written and beautiful. Thumbs up!! Thank you archaeofox. I ll check out your writings too! A life with a Begining a Hope for No end. The smell of my childhood is pure babypowder. True that!…from that time to now i’m still in my childhood. Would you be kind enough to assist me out of that? Thank you. Check out our other posts too! This such a great piece! Why not take a look at mine?